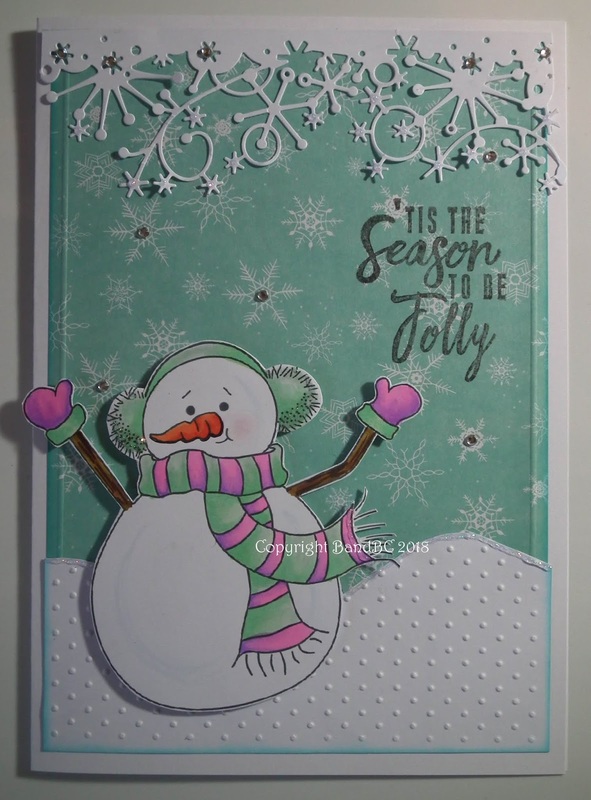 Bright and Breezy Crafts: My first Christmas card this year! My first Christmas card this year! for our challenge at the Colour Crazy challenge. Before colouring the image, I selected the backing paper. That helped me to decide on the colours of the snowman's scarf and earmuffs. 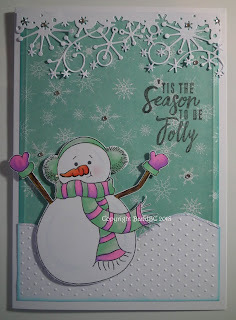 stamped the sentiment and die-cut an icicle border, to hang from the top of the card. A few twinkly bits here n there, finished off this card. A card for a 13 year old girl, please!